Suffering from blocked drains in Monmouth? We can help. With over 40 years’ experience in drains unblocking Monmouth, there is practically no blockage that we have not encountered and successfully solved. Overtime, we have devised effective and fast ways to handle unpleasant blockages allowing you to get back to your normal life in no time. Other than having a highly quality and professional team on standby at all times, you can also reach us at any time on our emergency callout service and we should be able to have the issue sorted out for you in the shortest time possible. Other than offering timely service, we also endeavour to provide our clients with the best experience possible and guarantee to provide nothing but the best quality service in our area of expertise. At Genesis Drainage we provide drains unblocking Monmouth service to both corporates and residential areas. It does not matter where the blockage is, if you’re looking to have it identified fast and ironed out quickly, we are the best in the industry and promise to have the task done with a surprising fast turn-around time. Not only have our teams been adversely trained on providing top quality service, we have also invested in some of the best tools and technology that the industry has to offer to allow us serve our clients fast and efficiently. Some of these include CCTV drains survey that help us to locate the blockage in record time and in time, we are out of your premises. We have been working on blocked drains in Monmouth and the surrounding areas for the past 40 years and we don’t seem to be stopping anytime soon. All our experts and maintenance teams are in-house and are highly trained to flourish in an otherwise very demanding market. We take the dependence that our clients have on us to deliver very seriously and ensure that we have the capacity and equipment to deliver at all times. Every team member of the Genesis Drainage family is trained to go the extra mile to ensure the client is left with a huge smile after the service. Other than helping with drains unblocking Monmouth, we also offer other services that include drain surveys and drainage jetting. Friendly and professional service – Our experts not only go out of their way to make sure that the problem at hand is sorted but also to provide you with a pleasant experience during the time that they are working in your premises. 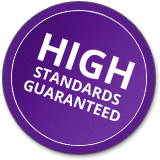 Quality guarantee – With vast experience, up to date training and the best tools in the market, we promise our clients nothing but the best. 40 years of experience – By hiring us, you also get to enjoy the diverse experience of over 40 years and the different innovations that we have been able to come up with during that time which allows us to get the job done faster and better. Emergency call out service – You don’t have to bear with the effects of a blocked drain until morning. We have a team on stand-by at all times of the day and night. All you have to do is dial us and we will be there ready to help in no time.